There are many reasons why you might have started, or are thinking of starting, a Facebook page for crafts. You have a blog and you want a page for fans to follow. You have an online shop and you want a page for fans to follow. You want to start a page as a platform for selling your craft. You want to start a page to showcase your craft work, but you don’t have a blog or other site. How do I get followers on Facebook? link to your Facebook page from all of your other pages. If you have a personal facebook profile, a blog, an online shop, a profile on any forums you frequent, etc., put the link to your Facebook page. Invite your friends to like your facebook page and ask them to share it. Not all of your friends will, but the ones who want to help you will. Don’t continue to ask, that would be annoying, but feel free to ask once! Join facebook groups that are about the same topic, and share photos from your facebook page. Make sure that the posts you are sharing are relevant, not spammy!! Don’t share more than a few posts a week or people will feel annoyed by it. 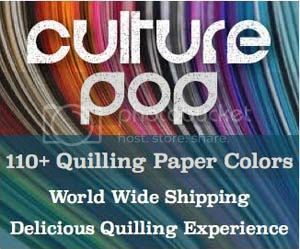 If you are trying to sell your paper quilled jewelry, for example, it doesn’t do much good to keep posting your jewelry on paper quilling groups, as those followers will be crafters, not buyers. In that case, search for groups specifically for selling handmade jewelry, or groups for people who love jewelry, and share there. Check the rules of each group before posting, as some are quite strict about the types of posts they allow. You don’t want to be kicked out of the groups! Share interesting posts that followers will want to share. To get the word out about your page, you will need your posts to be shared. Instead of begging people to share, simply make posts that are really interesting and eye catching and people will naturally share them! Be patient. It takes time to create a natural and interested Facebook following! Is it actually useful to have a Facebook page? Good question! No single answer, unfortunately, but generally I think that yes, it is useful. It is not as useful as it was a few years ago, sadly. It used to be that most of your fans would see all of your posts. Now only a very small percentage of your fans actually see your posts, unless you pay to have your posts promoted. Which kind of stinks in my opinion, but there is nothing you can do about it. However, it is still a great platform. When I see that people have a facebook page I sometimes like to browse through their photos or recent posts to see what they are up to. If you have a blog and/or online shop you can have links to it from your facebook page, which is also helpful. Make sure you are logged into your own account when starting a page. Choose which category of page you are making. It doesn’t really have a huge effect, but try to be as precise as possible. Some possible choices are: local business (under this you can choose local business or shopping/retail), company (under this choose company and then insert your company’s name), brand or product (under this choose whatever is most suitable such as jewelry, or website, or retail, etc. ), or artist, band, or public figure (under this choose artist or blogger). The last two choices of entertainment or cause don’t really fit in as well. Don’t fret too much about your choice, just choose what you think fits best. Once you have chosen, and click “get started”, Facebook will guide you through how to set up a page. Make a profile picture. This should be 180×180 pixels. Make a cover picture. The dimensions should be 851 x 315 pixels. Keep in mind that the profile picture will cover the bottom left corner of the cover picture, so don’t put anything too important in that spot. These images can be changed at any time. You can see from the screenshot of my facebook page at the top that my cover picture is covered by the profile pic. I am in the middle of a design revamp, so hopefully it’ll look better soon!! Click here to read Facebook’s intro on creating a business page. There are several ways to make your Facebook page an avenue for selling. One way is installing an app that lets you have a store integrated just for Facebook. I personally haven’t used any yet, so I don’t have any names to recommend. I do plan on giving it a try one of these days, though, so when I do I’ll report back on what I used and whether I liked it or not. You can do a google search for “facebook store app” and get tons of results, reviews, etc. to read through. I want to give a special mention to Shopify because I have used it and I loved it. I used it when I had an online shop selling quilling supplies. They have a ton of support when you are starting your shop. They specially integrate with Facebook so that you can have your shop on your Facebook page, for only $9 a month (and they have a 14 day free trial first so you can see if you like the setup, etc.). If you want your own full online store (and integrated blog) it costs more, starting at $29 a month (still a great price for what you get!!). That is the plan that I used. But the small plan for selling on Facebook is a great deal and something that I want to try (they didn’t have that option when I used the service several years ago). There are so many apps and possibilities out there, some free, some paid, and it’s hard to know what to try. But I know from experience that Shopify is quality and has great support, so I definitely recommend giving it a try if you don’t have time to sift through hundreds of other reviews for other options. Click here to start your free trial. Should I make a Facebook page or group? When thinking about starting your facebook page you might be wondering whether to make a page or a group, and what the difference is. Short answer is, make a page, NOT a group if your goal is to promote and share the things you are making. With a page you can organize it and the goal is to share your things. With a group, it is a bunch of people sharing things. 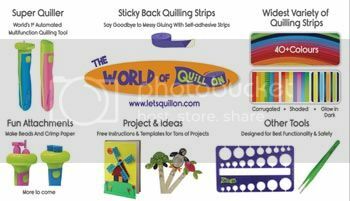 Groups are useful in their own right (I have a quilling learning group here) but they are not what you want when your goal is to have a page for your art, craft, business, etc. Since you are sharing a lot of crafts, whether selling or not, your photo albums can be very helpful on your page! I would suggest not just plopping everything into timeline photos. It is a great idea to have an album for each type of picture. For example, I have an album for earrings, one for tutorials, etc. This makes it easy for people browsing your facebook page to find the photos they are interested in! This is especially helpful and necessary if you are selling the items, but also nice if you are just showcasing. When I am looking for photos for my Quillspiration posts, I sometimes have to scroll through a lot of timeline photos to find ones to share and it takes awhile! It is also handy because you can ‘share’ an entire album on facebook or elsewhere. Do you have any questions about starting a facebook page? If so, let me know and I’ll do my best to add the answers to this page! I hope this was helpful! Thanks so much fit this article .. I’ve seen dramatic increase of de-stash groups in the last year and have joined but haven’t gotten my folder together. I have a web-site that I am also trying to finish and hope to pull customers from the destash site to the website. For example ; I have some slightly tarnished brass and copper jewelry wire that I plan to deeply discount on jewelry supply de-stash sites. I thought I would put a cap on amount of wire each person could order -so more people could get a good deal. I have a lot of beads and cabochons and plan to offer a few sets of my AAA gemstone beads another example I have a set of AAA tourmaline beads ..and other supplies. I read in your article , if I understood correctly, from your experience the best way is too set up a FB business page…. Does that mean just to sell them from my page or can I post them in destash groups as well. You can definitely do both – the more avenues to share what you have, the better!